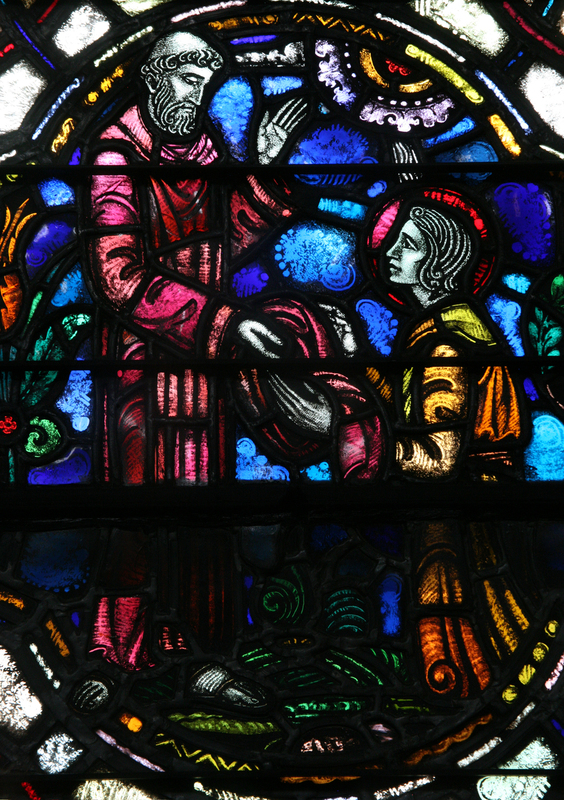 Experience the stories of the Bible and the life of Saint Benedict told through the beauty of stained glass! Wheels and Roundels is a 100 page, gorgeously bound, full-color book that celebrates the 120th anniversary of Saint Benedict Parish, Baltimore, Maryland. 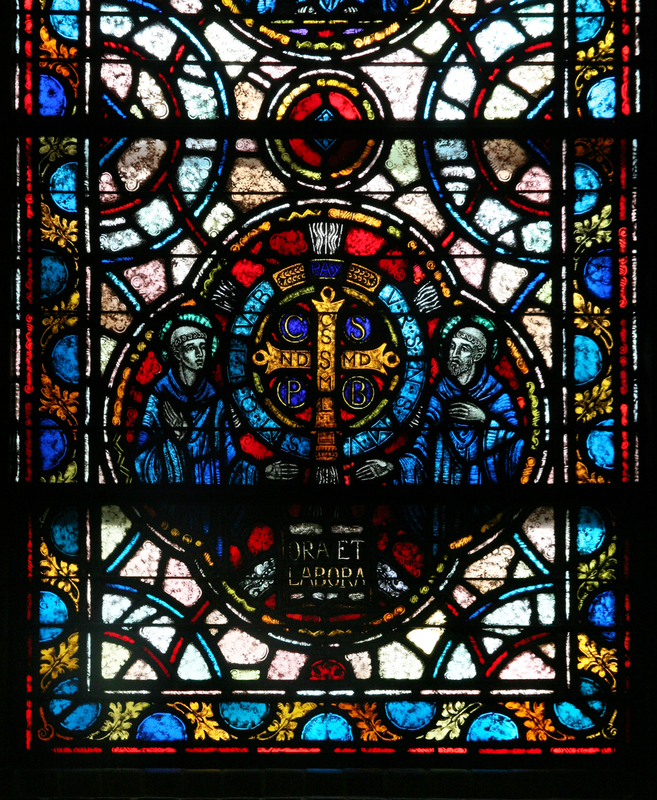 This handsome, easy-to-hold book reveals the beauty and artistry of the stained glass windows of Saint Benedict Church, as well as an intimate look into the life of the man who created them, Angelo Leopardo Pitassi. With a studio located in Pittsburgh, Pitassi began work on the windows that would paint the interior of the Temple with color and light. 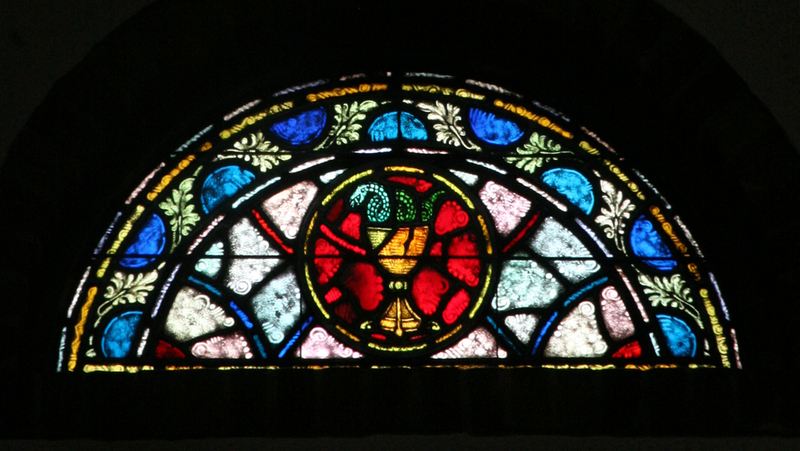 Using an ancient technique of fired and painted glass along with an antique art glass called Normandy, Pitassi crafted the life and miracles of Saint Benedict in 27 roundels, as well as many ancillary panes. The overall effect is best viewed at a distance so that the serene beauty of the composition and positioning of colors may be appreciated and experienced. Cost is $25. To order, call the Gift Shop at (410) 947-4988.